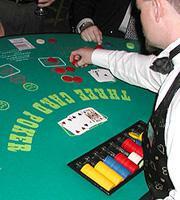 Three Card Poker is a simple, yet fun game that can be found in just about any online casino. 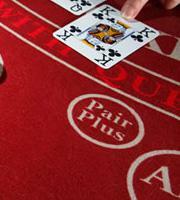 To understand the game, all you need to know is that your 3 card hand must beat the dealers. 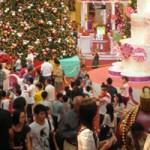 That’s the basics of it and if you follow a few straightforward tips, you can start to maximize your winnings. 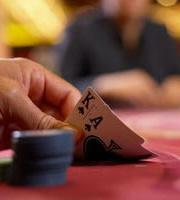 When you boil it down Three Card Poker is all about knowing when to fold and when to complete your bet. 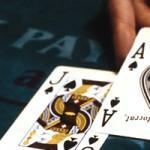 This article will help you to better understand the strategy involved to know when to hold em, or when to fold em. 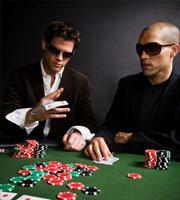 The pair plus bet is a side that can be played that wagers on whether or not you will hit a pair or better. The bet pays odds according to how strong your hand is. The basic strategy to follow on the pair plus bet is: Not to play it! The house edge is considerably high in most cases, it will be wiser to stick to the standard ante and raise bets. Although the high pay outs for making the top hand can be luring, don’t fall victim to the trap and stay away from this bet. This wonderful basic strategy in three card poker is very easy to follow and it can truly make a positive difference to your bankroll. If you have Queen/6/4 or better, you should immediately raise your bet. Statistically speaking, it is proven that you will win more often by using this strategy. The above strategy is very easy and simple to understand, however, many players feel the need to stray from the plan and go on a feeling or previous hands. The game will not tell you what will happen next based on what happened previously. It’s like flipping a coin, it will be completely random and the last flip has no effect on the outcome of the next flip. Bottom line is: stick to the strategy and use it properly. I thought I’d mention this strategy since it’s a popular and players feel that if it works for the dealer, it should work for them. If you follow the rules of which hands to fold or raise based on the dealers rules, you will do no more than break even at best. Most likely lose. You are basically evening the field and not taking advantage of the fact that the player has choices the dealer doesn’t. As always, play within your limits and stick with a bet size you are comfortable with. 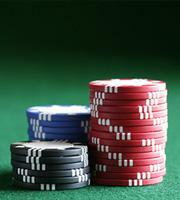 Having a good hand and not enough chips left to make the raise bet is a huge mistake. 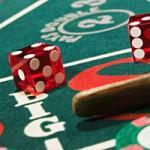 Know how much have at all times so that you are sure to be able to complete all bets.